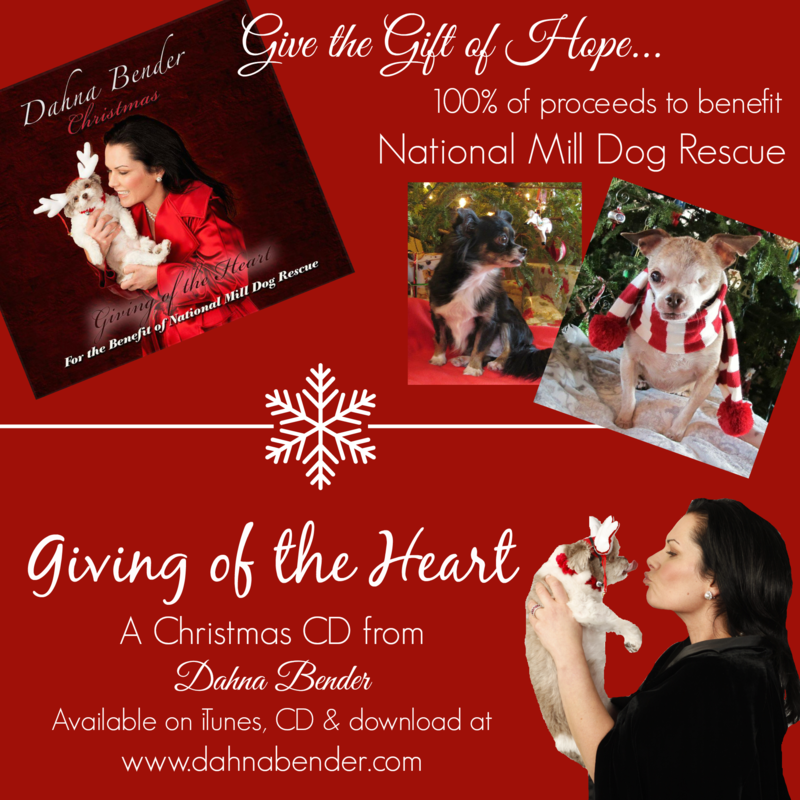 “The sole purpose of my ‘Giving of the Heart’ CD project is for all the profits from sales to go to National Mill Dog Rescue (NMDR) and to educate the public about the cruel realities of the Commercial Dog Breeding industry – aka: “Puppy Mills”. NMDR rescues, re-habilitates, and re-homes breeding dogs discarded from puppy mills. Their tireless voluntary efforts to help these innocent, abused dogs are led by it’s founder, Theresa Strader and many other incredible volunteers.